In his work as a Miami crime scene investigator, Dexter Morgan is accustomed to seeing evil deedsparticularly because, on occasion, he rather enjoys committing them himself. Guided by his Dark Passenger (the reptilian voice inside him), he lives his outwardly normal life adhering to one simple rule: he kills only very bad people. Dexter slides through life undetected, working as a blood spatter analyst for the Miami Police Department, helping his fianc raise her two adorable (if somewhat unique) children, and always planning his next jaunt as Dexter the Dark Avenger under the light of the full moon. But then everything changes. 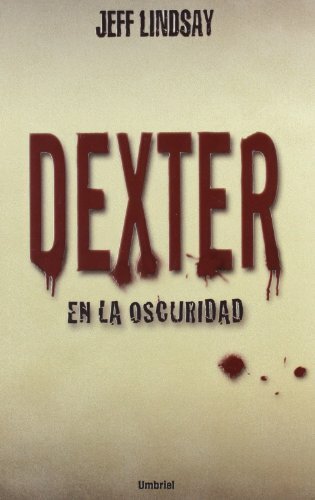 Dexter is called to a crime scene that seems routine: a gruesome double homicide at the university campus, which Dexter would normally investigate with gusto, before enjoying a savory lunch. And yet this scene feels terribly wrong. Dexters Dark Passenger senses something it recognizes, something utterly chilling, and the Passengermastermind of Dexters homicidal prowesspromptly goes into hiding Macabre, ironic, and wonderfully entertaining, Dexter in the Dark goes deeper into the psyche of one of the freshest protagonists in recent fiction. Jeff Lindsays glorious creativity is on full display in his most accomplished novel yet.